As anyone who travels knows, there are missteps, mishaps and misadventures, but then there are those perfect moments when we say: “yeah, this is why I travel.” I’m choosing Fridays to be the Travel Ahh… day. This entry was posted in Australia, Family Travel, Photography, Uncategorized and tagged Australia, Sydney, Sydney Harbour, Sydney Harbour Bridge, Sydney Opera House, travel by stephglaser. Bookmark the permalink. “Icon Sandwich….” I love that. Thanks, Bill! I thought that ever since my family and I first approached the harbor at the beginning of our stay. I’m an English teacher geek, so I love comparisons and metaphors. 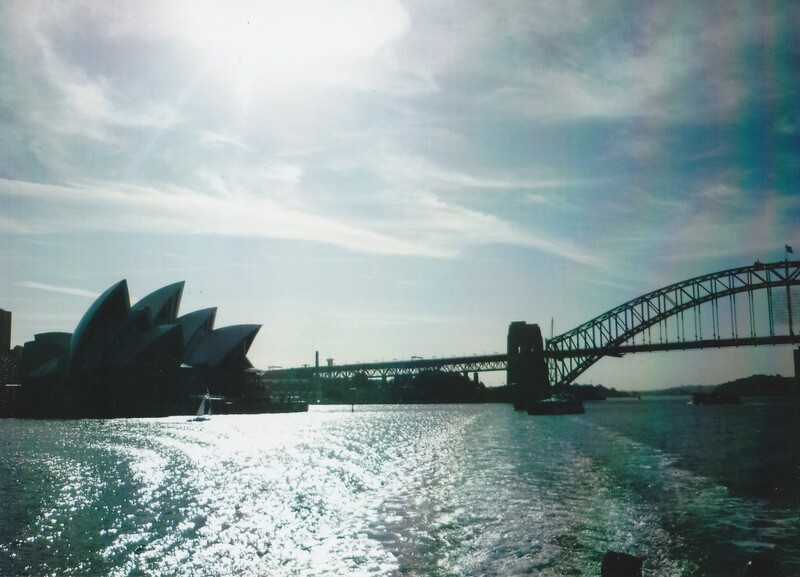 Thanks so much for stopping by Travel Oops and liking the Sydney photo. I’m trying to think of another icon sandwich — probably one in NYC, London? Somewhere in Asia? Sydney’s has to be the most beautiful.